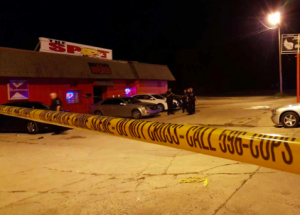 Six people were reportedly shot and injured outside The Spot nightclub in Tulsa early Sunday morning, September 20, 2015. According to News On 6, officers responded to multiple shots fired outside The Spot nightclub, near Pine and Yale, around 2:30am. A fight, which apparently started inside the bar, spilled outside the club and erupted into gunfire. Tulsa Police estimate “200 people were outside the club when the shooting took place.” Six of those patrons were struck in a hail of gunfire. One of those victims reportedly suffered critical injuries to the torso and another was shot in the leg. Their current conditions, and the conditions of the four other victims, have not been released. Police are not sure whether any of the victims were involved in the initial altercation or innocent bystanders. Given resident allegations of previous community violence, The Murray Law Firm is questioning whether the shooting may have been prevented and if a nightclub or parking lot security lapse may have contributed to this horrific assault. Were any attempts made by nightclub security or management to safely and separately remove all those involved in the initial altercation before it could erupt into violence? Were police called at the start of the initial dispute? What nightclub and parking lot security measures, such as surveillance cameras, security patrols and bright lighting, were in place at the time of the shooting? Have there been previous incidents of violence on or near property and, if so, were any additional security precautions implemented by the nightclub and parking lot owner to deter future violence? By law, nightclub and parking lot owners are required to protect all patrons legally on the premises from any foreseeable harm. Should the facts of this matter reveal that the nightclub owner and management failed to provide adequate security to protect those on its premises, the victims may elect to pursue a legal claim for their injuries. Under such a claim, the victims may be entitled to substantial compensation. Given the complexities of pursuing a negligent security case, it is imperative that the victims retain an experienced attorney who can ensure the preservation of any and all evidence that may support such a claim. Based upon its prior experience in handling nightclub and parking lot security negligence claims, The Murray Law Firm suggests that photographs and a thorough, unbiased inspection of the property will need to be performed immediately, before any evidence may be repaired, damaged or destroyed. The Murray Law Firm has an extensive and successful record representing victims of violence and security negligence. 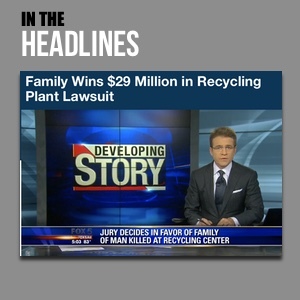 We have recovered millions of dollars for our Clients, and one of our Clients recently obtained a $29.25 million dollar verdict. We offer our legal assistance, if desired.